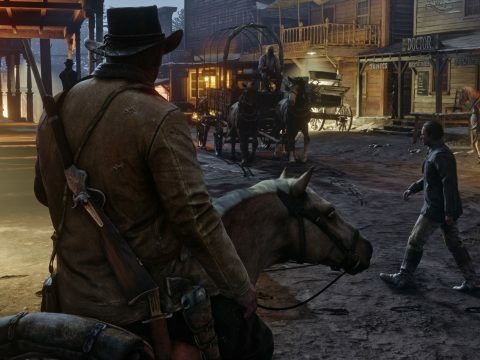 The world of Red Dead Redemption 2 is enriched with hundreds of little sounds that help to create a bigger experience. 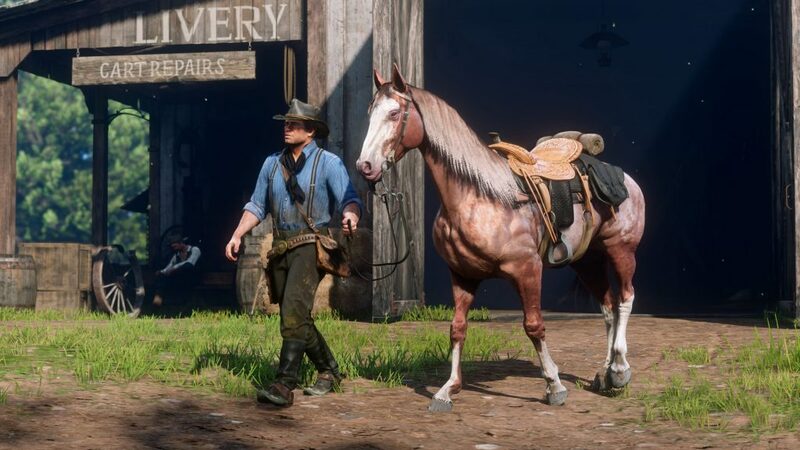 Red Dead Redemption 2 has blown away everyone’s expectations, we were all anticipating something great but Rockstar Games has gone above and beyond. There is so much life and wonder to discover in the rolling hills and arid land in Red Dead Redemption 2, and there are also a lot of smaller details that help bring the whole experience to life. Sometimes these little details can be easy to miss, so we thought we’d highlight some of the teeny tiny details that make Red Dead Redemption 2 so breathtaking. 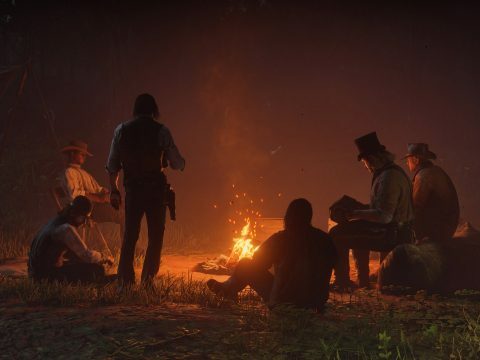 Some of the best audio can be heard at the very beginning of Red Dead Redemption 2. The prologue begins in the middle of an intense blizzard as the Van der Linde gang flee from the law. Snow pelts down and the wind screams through the valley as huddled bodies push through the banks of snow only to have their footprints filled as quickly as they’re made. As the maelstrom calms down, the snow remains scattered on the ground in thick droves, and the sound it makes is real enough to transport anyone into a frost filled memory. Every footfall and every hoof that pads down is met with a crunch as the snow compresses. We spent a good ten minutes just wandering around our campsite, listening to the snow compact under our boots. After making it to civilization, players will be given the opportunity to begin exploring the great land of North America. 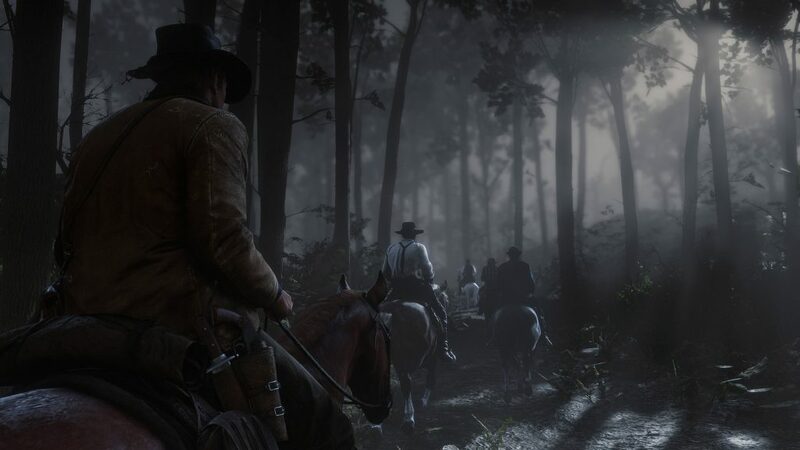 Riding deep into the forest and standing still might be boring in some games but in Red Dead Redemption 2 it is like having your own orchestra. Nature comes alive with bird calls, singing to one another about the day, meanwhile wolves howl from afar as they prepare to begin the hunt. 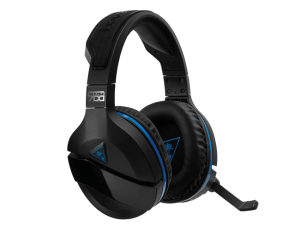 Players who happen to stop close to a river or creek would do well to take a moment and just listen to the babbling water and the splashing of fish. 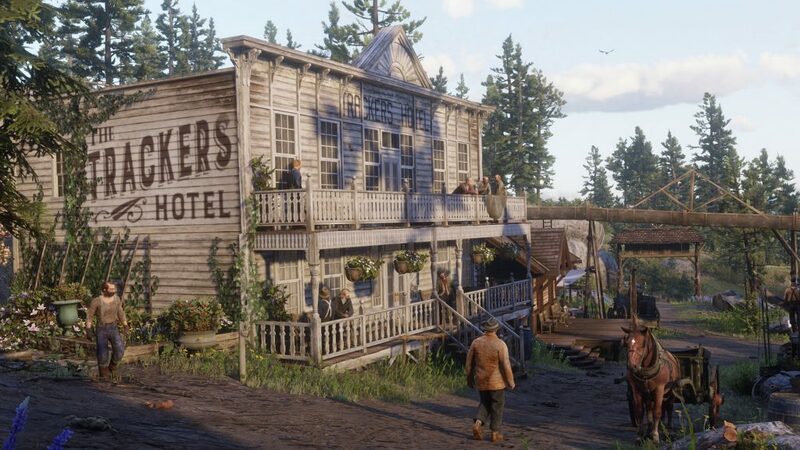 Every town in Red Dead Redemption 2 is unique and every person you encounter has their own thoughts on the world. Players can get lost in the lives of others in a hustling and bustling town like Saint Denis. With so many in game moments happening around you, it can make something as simple as sitting on a bench in a town square a magical moment. A woman on the side of the street championing women’s voting rights feels as if it is happening right in your room and the discussion between two men sitting on the bench beside you will become the perfect eavesdropping opportunity. From domesticated animals like horses, cats and dogs, to the wild fauna like wolves and bears, the personalities and sounds of these animals is unmatched by any other experience. A dog barking at you will become a friend with a few pats and will roll around in the mud enjoying his day. A cat will be standoffish though it will allow you to speak to it. The people make the towns come alive but it’s all the animals that make the world an inviting place to visit and experience. Nothing sends a shiver down our spine and a spike of adrenaline through our veins like the terrifying roar of a bear we didn’t see in the treeline. It’s moments like these that make us jump and realize this is a dangerous and wild world. Red Dead Redemption 2 wouldn’t be the experience it is today if it wasn’t for the incredible weaponry on offer. 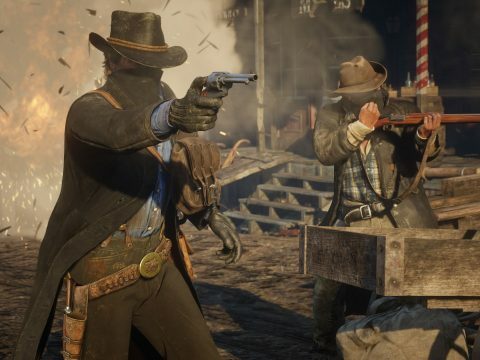 Players can use any number of pistols, rifles, and shotguns that were available at the end of the 19th century, and they all handle and sound like they were taken straight off the dirty road of a spaghetti western. 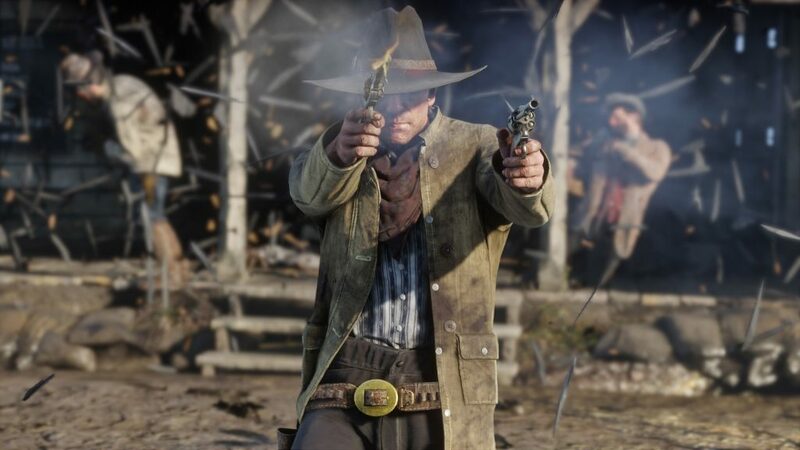 A manual revolver won’t automatically prepare the hammer after firing a bullet, it requires the player to pull the trigger again to pull back the hammer. It’s because of this that a sense of weight is given to any situation that requires the use of a revolver. Similarly, the sound of Arthur loading two shells into a double-barrel shotgun is mesmerizing as the air is pushed out of the barrel as the slugs go in. It all sounds so precise and yet so meaty, raw, and barbaric. A sense of power is lost with modern weapons and their surgical efficiency, so it’s shocking when the guns have such an impact on the gameplay. Red Dead Redemption 2 is a living, breathing experience that demands the player not only appreciate the grandness of the Wild West, but also the smaller details that make up the larger picture. It’s thanks to the small brushstrokes that Rockstar has created such an unforgettable and nigh unmatchable monument in gaming. 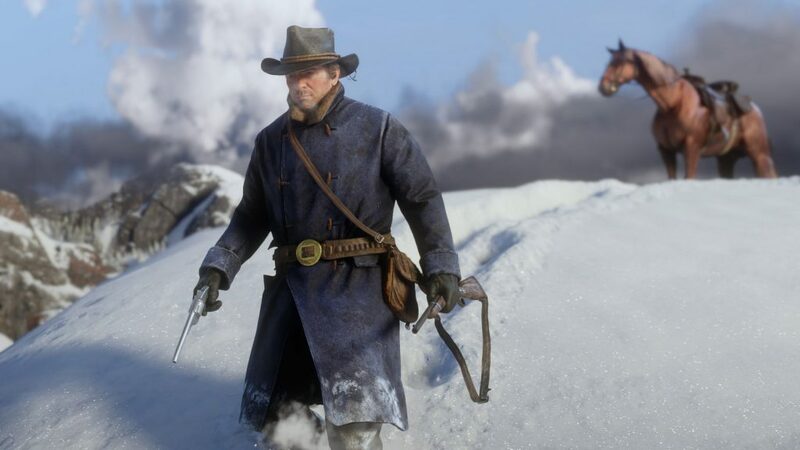 What are the little things in Red Dead Redemption 2 that have left you utterly speechless?